Social Psychology of Betrayal: The Difference between Facts & Truth by Dr Matt Ph.D. The article below is an excerpt from Changing Your Stripes; it explains an important aspect of the Social Psychology of Betrayal: when in Betrayal, people tend to use Facts to make the wrong they are doing . . . appear right — hence, an imitation or pretence of Truth is superficially projected. There are predictable Tell-Tale Signs that consistently accompany the act of Betrayal. A curious human phenomenon unfolds as people often unwittingly choose the trap of Betrayal: when going against their own sense of integrity, people do not completely perceive their own diversion from Truth — thus another aspect of the Social Psychology of Betrayal is that of Self-Deception. 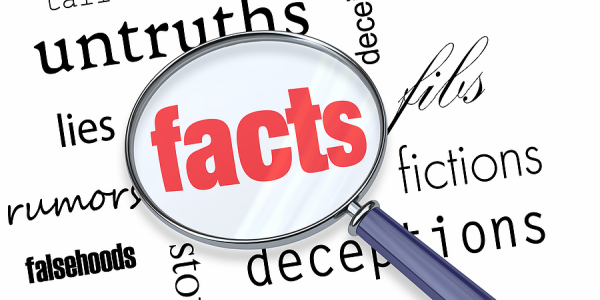 Facts and truth are commonly equated, but there is an important and practical difference: Consider the way facts are used in courts of law to bring about injustice, or how politicians intentionally mislead by using out-of-context fact-fragments. For these very reasons, Truth needs to be more than just a synonym for fact. "Truth" needs its own identity apart from "fact." The Oxford Dictionary defines "fact" as "A thing that is indisputably the case." And the Merriam-Webster Dictionary offers this definition: "the quality of being actual; something that has actual existence." The word “fact” is often used to mean “reality” — the way things ARE, the way the world IS. Again, Truth and facts are commonly equated, but there is an important and practical difference: Truth is always honest to the core, whereas Facts can be used in service of the Truth, or to support a Lie — the best Lies are always lined with Facts. made by the mouth or penned by the hand. Truth is a larger statement, a holistic statement. 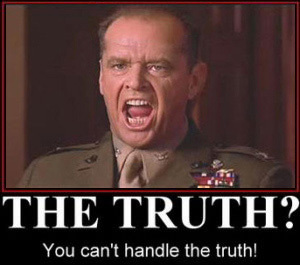 Truth is not just factually accurate, but also utterly honest. and emotion — all of which are True. 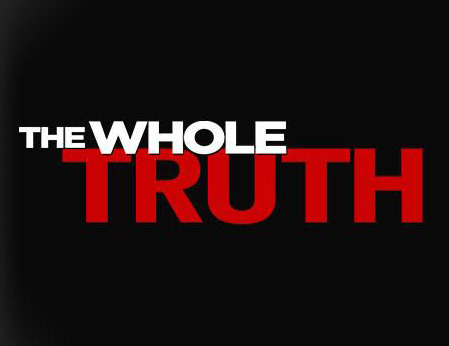 Should "the Truth, the whole Truth, and nothing but the Truth" be anything less? When a clear distinction is made between facts and Truth, we realize that words can be factual yet untrue at the same time; a person's words may be technically correct but when inward intent is not true . . . then only fact-speaking can occur — as opposed to Truth-telling. The distinguishing element is this: When the motive behind the message is false, then superficially accurate words are false from their foundations — this is the very meaning of empty rhetoric: words expressed without wholeness of heart. You can't really "tell the truth," unless you are also Being True from the heart. Because Intent Defines the Act, when motives are not honorable, one can actually bear false witness while speaking facts. Facts can be conveyed regardless of inward intent of heart; again, this means that on the surface words can be technically correct — and at the same time — the heart of the messenger can be incorrect. Part of the rhetorical game of fact-speaking is picking out certain details "from the whole" and exposing only "the part" that gives factual support to a selfish agenda. Thus, facts can be used in the service of lies — while Truth cannot. Truth is whole: heart, might, mind, strength, and soul. Of course, included in this truthful wholeness is being filled with the pure energy of true emotions! So a person who is caught in the BRIAR may make verbal claims to truth, but as dark emotions seep to the surface, it is clear that such claims are shallow: Emotions speak louder than Words! When Truth is conceived and experienced in wholeness, a different way of seeing and knowing opens up — a new view unfolds. Distinguishing between facts and Truth is vital to Recovering the You . . . that is True. ** The way to Recover the You that is True is described in my book Changing Your Stripes. Being Right versus Being True. Being Right is driven primarily by facts, and not by Truth. Being Right is having accurate descriptions of "what happened." Being Right is about having the facts in your favor; it's about getting the upper hand in an argument; it's about winners and losers — for when YOU are right then others are wrong. And where does Being Right put YOU in relation to others: an enemy, adversary, competitor, opponent, or rival? Being Right is not the best way to "win friends and influence people." Being Right is the booby prize! The real prize is in Being True. Being True mean having integrity of character. Being True is the holistic unity and expression of existence: heart, might, mind, strength, and soul. than the man who knows it all. The Need to Be Right makes YOU incorrect. Being True is "be-ing" in alignment with Life's inherent harmony — flowing with the guiding Light of Innocence. Being True is more than just speaking factual statements from your mouth, but includes the "statement" of all that you are! Being True puts YOU in a positive position in regard to others — a win/win position. For when you are True, then there is Love, to include the rainbow of all Bright White Emotions. The false application of "emotional honesty," likely occurs due to the false assumption that emotions are morally neutral, and thus feeling emotion in any form is a natural occurrence. Of course, naturally flowing with one's nature is a good thing, but from which "nature" is the "flow" coming from? (see page 205). By failing to make a distinction between pure white emotions versus betraying emotions of black & gray, therapists unwittingly validate foul feelings; curiously, it never occurs to some helping professionals to “help” clients get rid of dishonest emotions at the root (see page 136). The truth is that “body physiology” IS INDEED morally neutral: the flow of adrenaline that makes the heart beat faster IS neither right nor wrong. Nevertheless, aspects that comprise whole emotion (thoughts, words, deeds, intentions) — that happen simultaneously with physiological flow — ARE absolutely morally loaded; this means those same thoughts, words, and deeds will impact self and others to either betterment or detriment. The Heisenberg Effect applies: inescapable impact always! In every human act . . . there is impact; people cannot NOT influence others in the course of human relations. When viewed in a holistic way, every emotional expression will inevitably land on either side . . . of a moral divide — betterment or detriment. We love others when we choose to impact their lives towards their long-term betterment; this is the Love that Stands, as opposed to the Love that Falls. Body physiology is only separate from conscious experience, behavioral action, and spiritual integrity at the level of words, and descriptive analysis. Words create the illusion of separation. While we can separate the construct of emotion at the "symbolic" level, we CANNOT make the same separation at the level of "living reality." Therefore, whole emotion is ever and always morally loaded — there are NO NEUTRAL emotions. And why should emotion be thus conceived? Because that is how emotion occurs in the wholeness of directly-lived experience! ** One of the central differences between Facts and Truth, then, is that Truth includes holistic character traits of honor and honesty — which means having truthful intent and emotions.